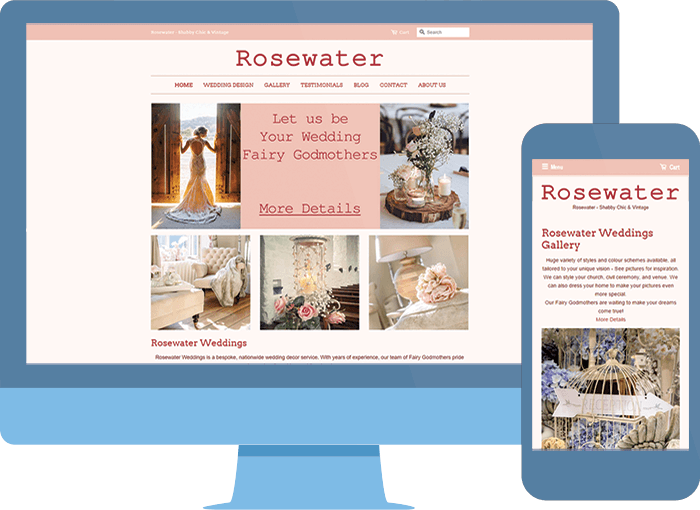 Rosewater Weddigns are bespoke wedding decor specialists providing full wedding design service to couples nationwide in the Republic of Ireland. I had been maintaining the website for over 3 years. Aside from content updates and creating new images, the original website had undergone many graphical redesigns over the years. Alos, New features were added such as a five page picture gallery, testimonials page, and an e-mail newsletter sign up form.